I am taking inspiration for this post from a recent comment on my first article written here. Many times in our travels we find a simpler way of living or Pura Vida- the pure life theory in South America. There are many cultures that sustain their lifestyles only based upon what they need. It is interesting in our society how we have convinced ourselves of the material things, the social status, the money and power that we need. Living consistently this way endangers us of losing touch with some of the most important things in life. Such as who are true selves are and the beauty that exists within the world outside of material possession. Simplicity. 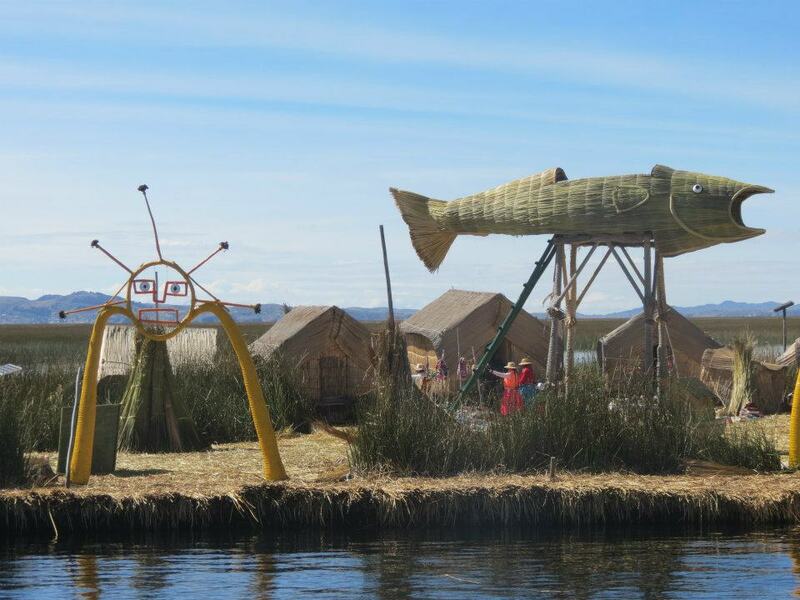 I have attached a photo from the “floating islands” in Lake Titicaca in Puno, Perú. These families live soley on a small island about the size of a football field made out of reeds. Their diet consists of mainly fish and potatoes and corn that are traded with the nearby city. For pleasure, the play soccer or volleyball to keep the layers of reeds tamped down to support the structure of their island. Pretty amazing, simplicity. In your opinion, what is your version of Pura Vida? Do you believe it is a beneficial way of life? Previous PostWith Creativity All Is PossibleNext PostAwana Kancha. Promoting Sustainable Development.